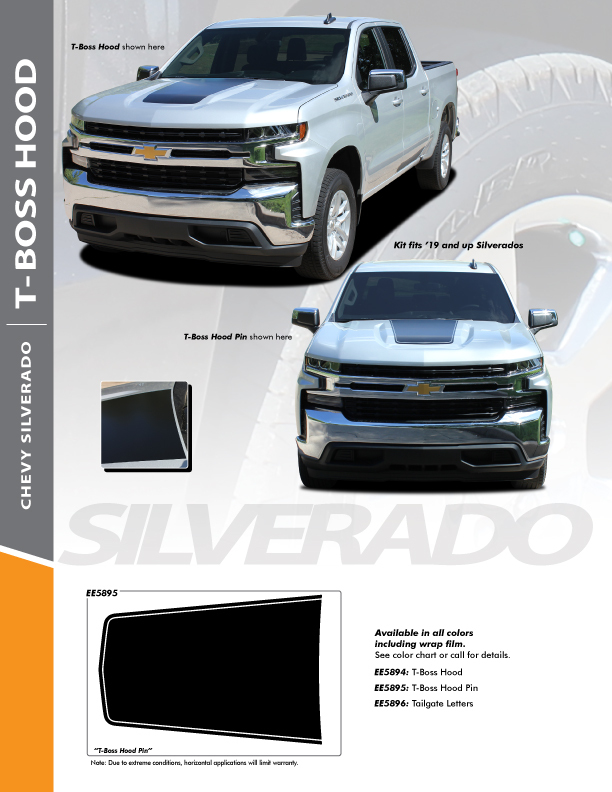 The T-BOSS HOOD Stripes for the NEW 2020 2019 Chevy Silverado Pinstripe kits look awesome and we have them in stock! These 2019 Chevy Silverado Hood Decal Stripes are the perfect custom vinyl stripe kit for the Chevy Truck Decals Graphics for the Silverado Pinstripe Ideas. Upgrade with 2019 Chevy Silverado Hood Stripes from FCD.